Winter: brrrrr. Cold, dark, damp… Despite the twinkly lights and the alcohol-fueled Christmas parties, this time of year isn’t always kind weather-wise. Thankfully, Norfolk is stuffed like a Turkey with cosy pubs to retreat to – open fires and hot cider at the ready. So, pick up a paper, a loved one and (or) a dog, and bunker down in one of these beauties. This handsome, Georgian pub in the middle of countryside near Holt has an open fire and two stylish wood burners covering every nook and cranny of the homely interior, meaning you’re never far away from a warming flicker. 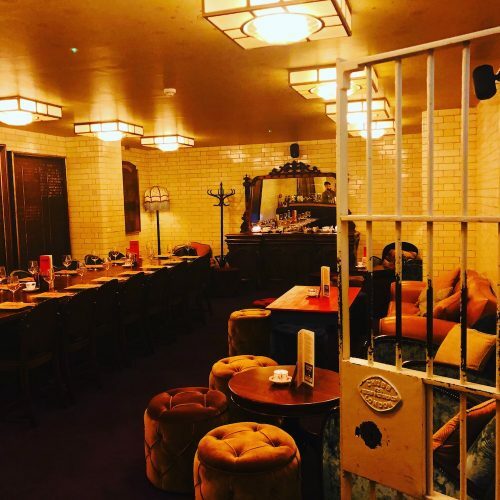 Serving local ales; a good choice of red wines and hearty; locally-sourced grub, you’ll spend longer than you intended in this cosy cocoon. You might think beachy pubs are best visited in the summer, but there’s nothing quite like staring out at a moody sea while you’re warm and cosy inside. Do as the locals do: wrap up warm, blow away the cobwebs with a quick walk on the beach then nab the sofa area between the bar and restaurant where a roaring fire and the weekend papers await. Nurse a glass of red or a local ale and stay as long as you like. Head Chef Daniel Smith – of The Great British Menu fame – creates a menu of British dishes that perfectly straddle the fine dining/hearty divide (no easy feat), changing daily according to seasonal ingredients grown on the pub’s own farm. Exposed brickwork, wood floors and beamed ceilings add to the cosy atmosphere, while the adjoining stable house boasts four en suite rooms. Norfolk boasts many gorgeous villages but none quite compare to Pulham Market, with its central green surrounded by period houses. Don’t live nearby? That’s the beauty of it – take a leisurely Sunday afternoon drive out, lunching in The Crown. 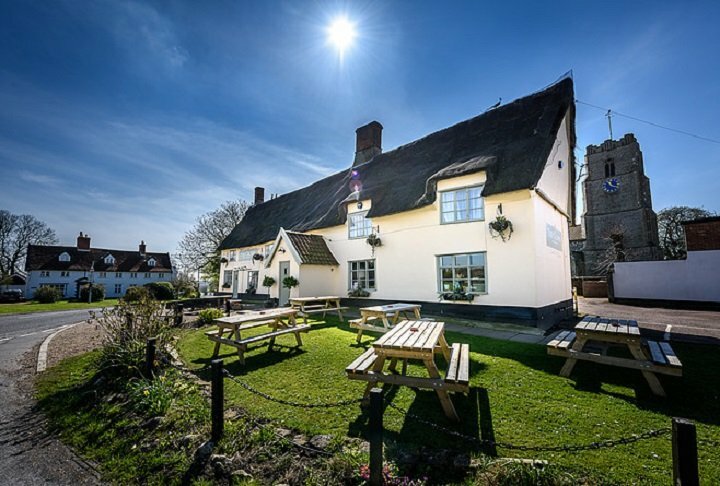 Everything a country pub should be – thatched, quirky, warm and inviting – The Crown oozes warmth and style, with a great menu to boot. 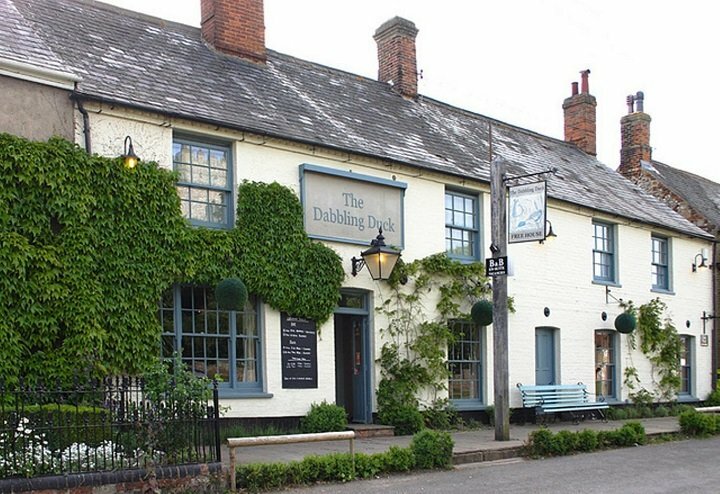 Located just outside Kings Lynn, The Dabbling Duck is everything you’d look for in a winter pub. 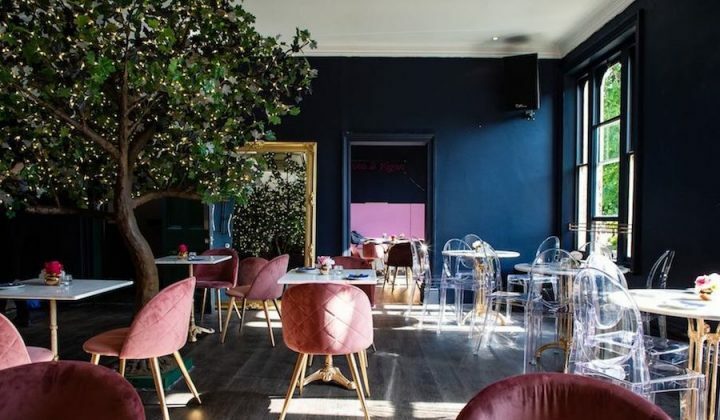 A grand, sprawling building adorned with climbing ivy and duck egg blue window frames, the inside is as cosy as they come, with several themed rooms, open fires and shelves grumbling with classic books. Food is lovingly served on boards or in paper and comes from a menu rich in game (think pheasant, partridge, pigeon, woodcock, rabbit and venison). There’s even a separate menu for your pooch! 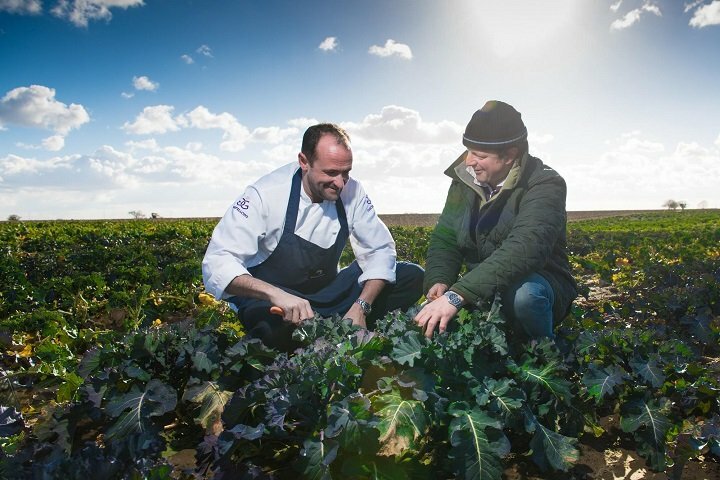 “We strive to maintain fair prices through careful procurement from our wonderful hand-picked local suppliers using delicious seasonal produce on our fortnightly changing menus,” the website claims. Don’t let this statement fool you into thinking The White Hart is second rate, however – it’s far from it. The décor steps its toe into Scandinavia with antlers stylishly wrapped in fairy lights, while boutique rooms, rustic food and an extensive wine list make it the perfect winter pub. Located on the salubrious (but less salubriously-named) The Buttlands (a tree-lined square surrounded by Georgian houses), The Crown is a former coaching house that has recently been refurbished to enhance its historic features. 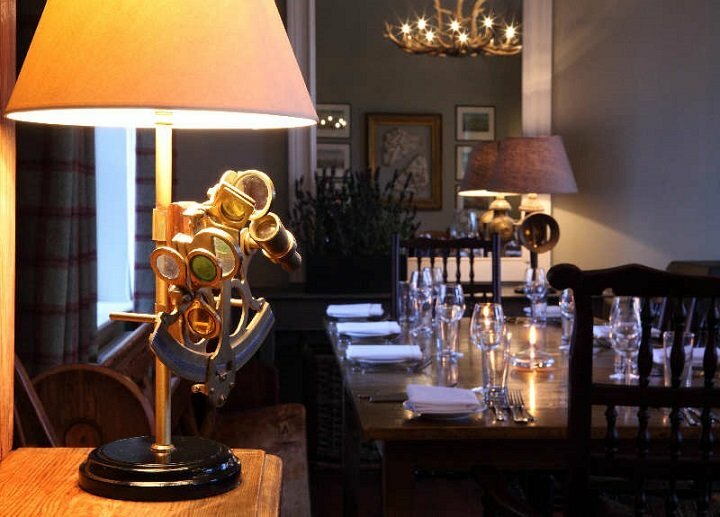 With beamed ceilings, wood burners and battered leather armchairs – not to mention a menu rich in fish sourced from Wells itself – The Crown is worthy of its name. 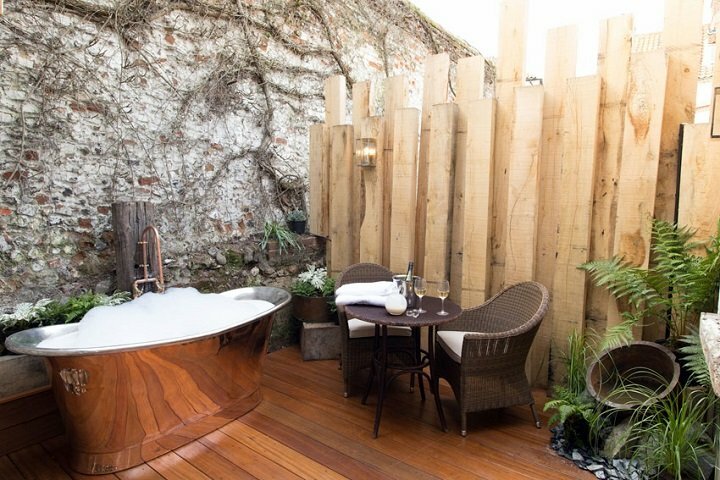 Check out the pub’s luxury en-suite rooms, five boasting recent refurbs (think copper roll-top baths). White-washed, covered in roses… you couldn’t get more British if you tried. 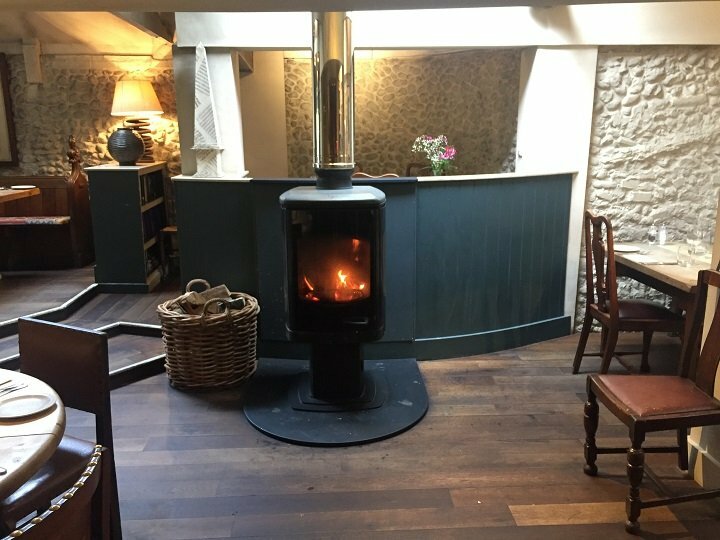 Inside, the Rose & crown has as many open fires and wood burning stoves as The Kings Head above; low, beamed ceilings; mish-mash furniture; and several higgledy-piggeldy rooms. 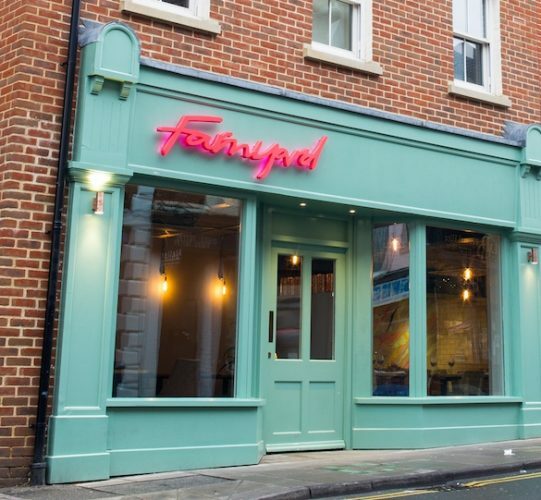 The food is more warming than award-winning, with prices deliciously to match, while 16 comfortable rooms cater for dogs at an extra £15 a night. It’s been years since I’ve been but The Gin Trap at Ringstead near Hunstanton is great too. 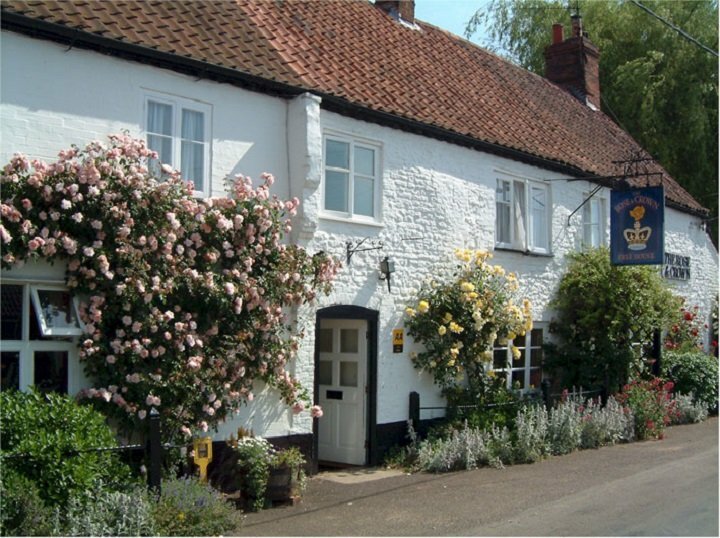 Well That’s Great to so many great Pubs in our area, but you missed one just reopened The Old Bell Grimston a warm cosy bar great Real Ales and Ice cold Lagers, Plus great Value wines, The Old Bell Grimston well worth a visit. Thank you so much for the recommendation Rosemary. I actually had sooo many great pubs to write about that I intend to do a similar post next week! Take 2, as it were. 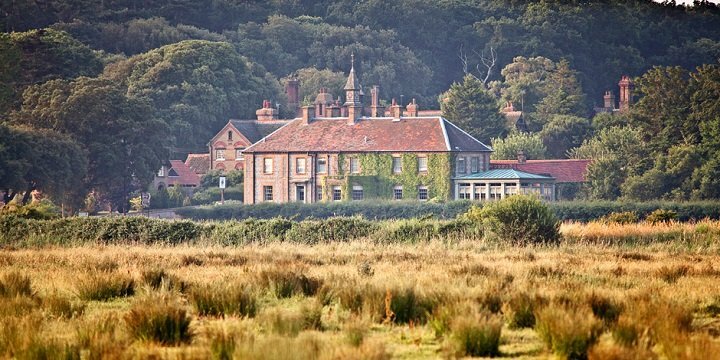 I will include this one and also The Gunton Arms – is that worthy of a mention in round 2? I love Gunton Arms, I’ve never been so close to so many deer! Love it or hate it the art is amazing too!